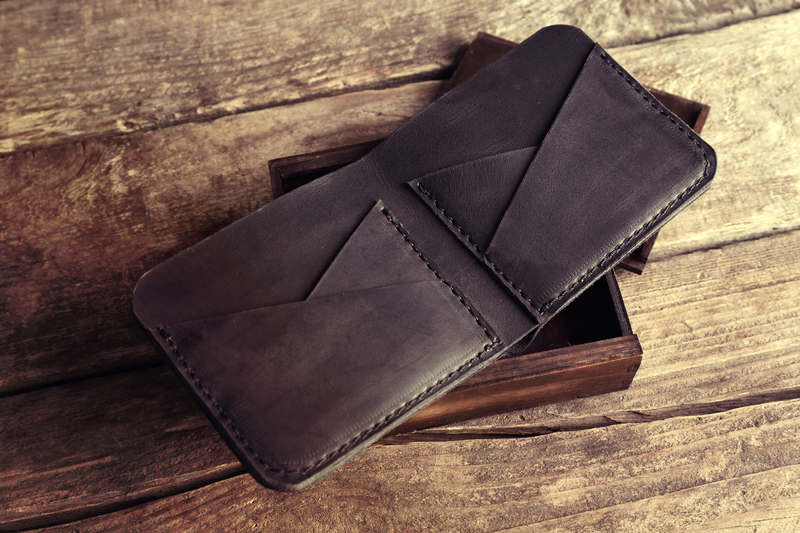 With a variety of different styles and designs to choose from, men’s accessories, like leather wallets, can be incredibly personal and utilitarian. By finding the right option that meets your needs, you can ensure you always have access to your most important items. To make this choice, you’ll need to carefully consider your lifestyle and what you typically carry in the wallet. When considering a leather wallet, choosing a high-quality material can have a significant impact on the life span of the accessory. For example, full- and top-grain leathers will last the pressures of daily wear and tear much longer than other grades. You should also consider the thickness of the leather, as a material that’s too thin won’t be able to retain its shape. As a rule of thumb, the central fold should be as thick as two quarters, while pocket flaps should be as thick as a single quarter. Nylon and polyester tend to be the most durable and highest quality stitching materials available. Carefully examine the edges and pockets of a wallet to ensure the stitching reinforces the material. You should see two lines of stitching, as this ensures the wallet and pockets maintain their shape, despite the constant movement of opening, closing, and inserting bills. If you only see one line of stitching, however, this indicates a lower quality wallet that may wear out much faster. You’ll likely use the wallet pockets on a daily basis, as they’ll carry your credit cards and identification. When you look inside this component, make sure there is no lip where the leather folds over to the inside. This can make it difficult to pull your cards out, causing you to place a strain on the material every time you do so. Instead, the material should continue all the way down the inside to provide better protection for your cards and the wallet itself. If you’re looking for quality men’s accessories, turn to the experts at Over Under Clothing. This clothing company provides quality products to retailers throughout the southern United States. With products that are 100% American made, they even offer lifetime warranties against defects. For a more detailed look at their inventory of leather wallets, visit them online, or call (904) 619-0577 to learn more about their men’s accessories.